Mission trips are a great personal journey as well as an important necessity to the communities of other countries where people are in great need. Mission trips are volunteer trips taken to help people in other countries, usually developing countries, in a city that is impoverished. The purpose of a mission trip is not only to greatly help those who are not as fortunate as ourselves, but also to see with our own eyes how hard it is for people who don’t have the materials we take for granted. Available resources to get started. There are organizations that plan mission trips. They usually have an outlined schedule of what you would be doing and can give you ideas to fundraise for the trip. These organizations have trips that are pre-planned and usually take place for 7-15 days over the summer or during winter break. Usually their trips consist of teaching English to the native people or helping the village fulfill a need. You can also go with your church, school, or connect with an organization in the country you plan on visiting and take your own mission trip. No matter how you do it, since your goal is helping others, you can’t go wrong. My own mission trip was to Guatemala. I went with my college’s Global Leadership Honors class. The class was structured around the mission trip, so we learned about the culture of Guatemala, and potential vaccines to get to prepare. In Guatemala, food is cooked inside of the homes with an open fire that is not ventilated. This causes respiratory conditions and lung cancer. The mothers usually carry their infants in a cloth sack on their backs, so the babies breathe in the smoke as well. Our goal was to travel to a few different cities on our ten-day trip and build well-ventilated stoves from scratch. Since we did not know how to build stoves, we partnered with an organization that builds stoves in Guatemala every spring, Masons on a Mission. They are an organization of master stone and brick masons who helped us and taught us how to properly build stoves. We mixed cement and lime mortar and hand cut bricks to fit inside the stove. We helped build the foundation of the stove with cinderblocks and red brick, connecting the stove to a chimney that released the smoke outside of the home. The work was satisfying, and we saw how the native Guatemalans lived, as well as heard them speak a few of their native Mayan languages, like Kiche and Kaqchikal. It was a very eye-opening experience. Many had small living quarters and they tended to have livestock with them, most likely used for food and to sell. Some of their roofs were no more than a tin sheet of metal or bamboo rods. In Antigua, all of the women and children beg in the marketplaces. It is very sad and hard to see, but it is the reality for so many people. However, many of the children still laughed, played, and seemed happy. They did not want for more because they did not know that more existed. They didn’t want the new iPhone because they were happy to have a meal and water for the day. Consider a mission trip of your own. Mission trips are definitely amazing experiences and I highly recommend everyone go on at least one in their lifetime. Make sure to do your research when going on mission trips to ensure the organization you are traveling with is legitimate. Also, check the recommended vaccinations for the country and make decisions on if you want to get them. Remember, some can take about a month to take effect. My mission trip was a life changing experience and I hope to go on many more in the future. There are so many different ideas for service projects such as: animal care, building homes, planting trees, teaching English, education, women empowerment, water quality and much more. I highly recommend going on a mission trip as it will change your perspective on how much we take for granted, and that is something everyone should experience in their life. Natasha is studying Biology as a Junior at the University of South Florida. She is a Pre-Veterinary student and plans to specialize in wildlife and zoological animals. 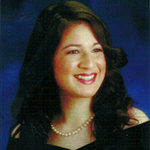 Natasha has been involved in National Society of Collegiate Scholars and Phi Theta Kappa Honor Society for two years. Outside of school, she is involved in Performing Arts and Theatre.